Interview with "Sarge" from Ballistic Bait Co.
Ultra-realistic, multi-jointed swimbaits have been around for quite some time. I got a chance to play with the six inch, “Green ‘Gill” coloured model from Got ‘Em Coach Tackle recently and had lots of fun with it. Right along with the bait’s natural appearance and swimming motion are a handful of smart design features. This is a tough little lure that’s also pretty versatile. Top-end hardware was the first thing that struck me about the Green ‘Gill. 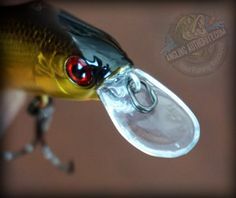 Though I’m sure it will be a hit with bass guys, the bait’s hooks, rings and paint finish certainly seem over-engineered. You could easily throw this lure with confidence for either of the Esox species. Right off the bat, I liked the fact that this bait may look pretty, but it’s built very tough. 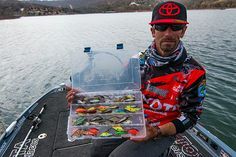 Way too many lures out there (ultra-realistic ones, especially) put all the emphasis on a flashy package without any guts. Super sharp, black nickel trebles and small, heavy split rings pretty much ensure you’ll hook fish solidly and be able to muscle them with no fear. In sloppy weeds or wood, this is a definite ‘must,’ particularly with no-stretch line. The tail hook hanger is actually a ball bearing swivel that’s been molded into the body. There’s no chance of any leverage between the sets of hooks. That’s a smart wrinkle, and I’m surprised more manufacturers don’t apply it. The bait’s paint finish resists hook rash well, so far. And in the clear water I used it in, it struck a great balance between subtle realism and attraction. The natural, bristle tail is really cool. It catches light differently than the rest of the body, and appears thin and delicate underwater, just like a fish’s tail, in the wild. Even without an internal rattle chamber, you’ll still get great, natural sound and vibration from the bait. Body segments click and clack together, and it also throws a lot of thump when straight-reeled. I was impressed at the lure’s stability overall. Other than simply swimming it along using a straight retrieve or long, smooth pulls, I was also able to tap, twitch and jerk it. It didn’t roll over or foul. The first afternoon I tried the Green ‘Gill, I experimented with it outside a shallow cove filled with cabbage weeds. The lure ripped through the slop and recovered well. Not only did it shed weeds, it also never tangled or stopped thumping away. 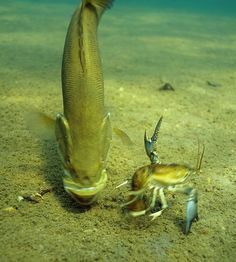 As a twitchbait, it acts a lot like a Musky Innovations Shallow Invader, a bait that I use a lot with good luck. A fat little smallmouth hammered the lure just outside the weeds on my first afternoon, after a series of hard snaps and pauses. You can get it walking left to right, up and down and all over the place. On a pause, the lure sinks horizontally, about one foot per second. It’s very realistic, and certainly has more to offer than just plain ‘swimming’ it. The lure stays down, too. As soon as I let off the retrieve, i could easily tick the tops of deeper, fringe weeds out in 12 to 13 feet of water. 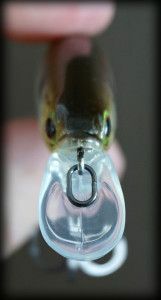 For fish in late summer and into fall, this is a swimbait that you can fish deep, if that’s what’s needed. I rigged mine on an 8’ casting rod with 80lb braid and a light, solid wire leader. Dropping down to 50 or 65 pound line and a more supple, fluorocarbon leader would bring the bait to life even more. The lure is so stable you could troll it, too. I’ve seen firsthand the way our lakes are changing. From The Great Lakes to The Kawarthas to my home waters of Georgian Bay, we’re living and fishing in a time of steady, visible change. One of the biggest things I see is water that’s weedier, clearer and home to more and more panfish species. Where I used to see perch and rockbass, I see a lot more sunfish. Right before shooting the little video that accompanies this write-up, we watched a loose clump of 4-6 inch pumpkinseed milling around the boat. 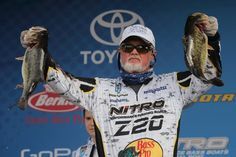 At the end of the day, baits that imitate this forage and baits that are tailored to fishing clearing water are definitely going to factor into more and more fishermen’s approaches. I was out walleye fishing in the dead of night just last weekend and had about a ten pound giant cough up a small sunfish in the net. While rummaging through the shallows, at night, panfish were clearly a food source. Got ‘Em Coach Tackle offers a wide range of hues and species-specific looks with their swimbaits, including crappie and other shades of sunfish. The Green ‘Gill looks great in the water I fish. There’s probably a colour that will work where you fish, too. The experiment will continue with these cool little baits! It’s never a bad idea to support new, smaller tackle companies. They’re the bedrock of the industry, and where a lot of innovations catch fire. To see this nasty little critter in action, check out the video below, and keep an eye on the Bushey Angle Facebook Page for updates on how I’m doing with it. There’s still plenty of summer left, and things will really heat up down the stretch into September. Be safe out there and enjoy it all, wherever you happen to be wetting a line. For more information on Got-em Coach Tackle, check out their website. 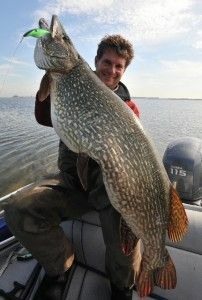 JP Bushey is a multi-species, multi-season fisherman living in Barrie, Ontario. North-Central Ontario’s ‘big water’ is where he spends most of his time, from his home waters of Georgian Bay to The Great Lakes, Lake Nipissing and The French River. JP’s been a freelance fishing contributor for over fifteen years, and enjoys helping people to improve their fishing through his articles, speaking engagements and on-the-water instruction.